We know objects far from our sun – in the Kuiper Belt – that are tens to hundreds of miles across. This object is only a few miles across. Astronomers caught it with the aid of 2 small telescopes and a distant star. View larger. | Artist’s concept of newly discovered small object far from our sun, in the outer solar system, via NAOJ. Astronomers in Japan report that they’ve detected a very small body – only 1.6 miles wide (2.6-km diameter) – at the edge of our solar system. They’re calling it a missing link in planet evolution. We know of multiple small bodies orbiting far from the sun, in the realm of what astronomers call the Kuiper Belt. The largest of the known Kuiper Belt Objects, or KBOs, are hundreds of miles wide. 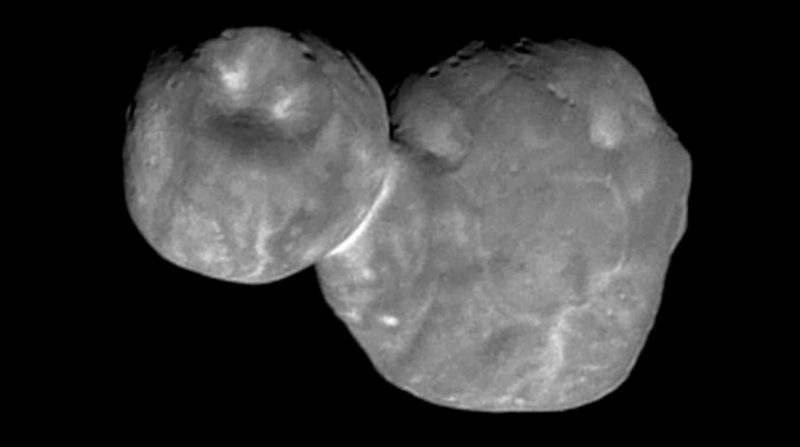 Some are smaller, like Ultima Thule, recently passed by the New Horizons spacecraft. However, this is the first time a body this small has been found. It’s so small that even the Hubble Space Telescope would not be able to spot it. Instead, astronomers detected it using two small, amateur telescopes, with the help of a distant star. The astronomers described their work January 28, 2019, in the peer-reviewed journal Nature Astronomy. It was made possible by grants-in-aid from the Japan Society for the Promotion of Science and the support of the Miyako open-air school and the local community in Miyakojima-shi. Kilometer-sized bodies like the one discovered have been predicted to exist for more than 70 years. These objects acted as an important step in the planet formation process between small initial amalgamations of dust and ice and the planets we see today. Here’s Ultima Thule, a Kuiper Belt Object passed on January 1, 2019, by the New Horizons spacecraft. It’s roughly 19 miles (30 km) long, or about 1/60th the diameter of Pluto. Image via NASA/Johns Hopkins University Applied Physics Laboratory/Southwest Research Institute/Spaceflight Insider. Kuiper Belt Objects as small as the one just discovered – only a few miles across – have been predicted to exist. But even the world’s largest telescopes can’t pick them up by looking directly at them; they are just too small and too dim. Ko Arimatsu and his team instead used the technique of watching for stellar occultations – the blocking of starlight by objects closer to us than the stars – to find this object. They monitored a large number of stars, watching for telltale dips in the stars’ light that would indicate unknown objects. They called their team OASES (Organized Autotelescopes for Serendipitous Event Survey) and placed two small (28 cm – 11 inch) telescopes on the roof of the Miyako open-air school on Miyako Island, Miyakojima-shi, Okinawa Prefecture, Japan. They monitored approximately 2,000 stars for a total of 60 hours. 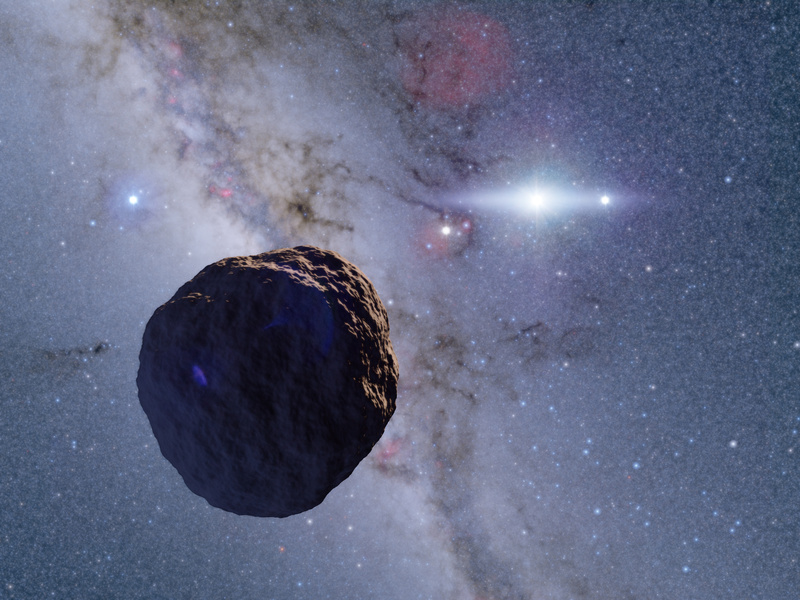 Analyzing the data, the team found an event consistent with a star appearing to dim as it is occulted by a 1.6-mile-wide (2.6-km-wide) object in the Kuiper Belt. They said this detection indicates that kilometer-sized Kuiper Belt Objects are more numerous than previously thought. If so, this fact would support models where planetesimals – the early building blocks of planets – first grow slowly into kilometer-sized objects before runaway growth causes them to merge into planets. 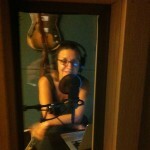 This is a real victory for little projects. Our team had less than 0.3 percent of the budget of large international projects. We didn’t even have enough money to build a second dome to protect our second telescope! Yet we still managed to make a discovery that is impossible for the big projects. Now that we know our system works, we will investigate the Edgeworth-Kuiper Belt in more detail. We also have our sights set on the still undiscovered Oort Cloud out beyond that. 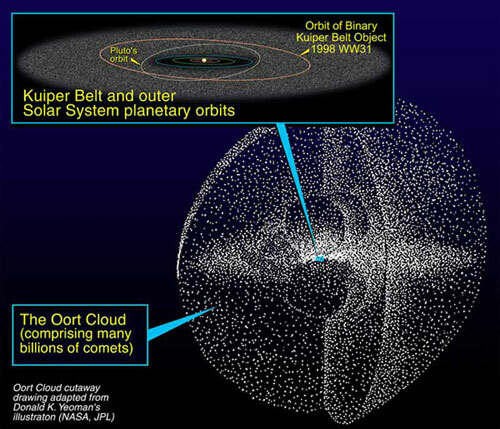 Artist’s concept of the Kuiper Belt and the Oort Cloud, the distant icy realm of the solar system. Image via NASA. Bottom line: Astronomers in Japan used two amateur-sized telescopes to discover a very small body in the Kuiper Belt.